Shop L&K Designs Bathroom Vanities with Free Shipping! Located outside of Memphis, Tennessee, L&K Designs knows what people all over the country are looking for when remodeling or replacing items in the bathroom, and that is quality. 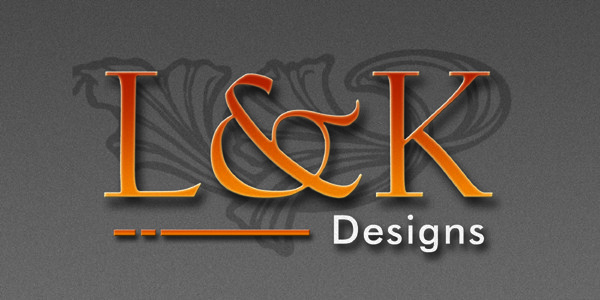 Offering the best designs created with superior materials is what L&K Designs does best. The buyers at Unique Online Furniture know a good manufacturer when they find one, and L&K is definitely one of them. Remodeling a bathroom into a space that the homeowner is pleased with and that serves the purposes of the household can take some time and effort. Having access to the items that many homeowners desire is what the folks at L&K strive for. The vanity is often the focal point of the bathroom, any of the offerings here will fill that role with outstanding style and beautiful finish tones. Aside from offering the best in design, the materials used in L&K products are top grade. The natural materials like granite and marble that are used in creating the vanity counter tops are not created by hand but come straight from the earth. Each one will have its own unique color shade and pattern, made by nature and honed to a wonderful shine by experienced workers. The designers at L&K understand that not every home owner has the same taste. That is why, among their collection, there is a nice range of styles. Some pieces have clean lines and very little to no ornamentation. Another clean line style that offers some extra detail are those that will fit in well with a country or traditional décor type. An older home or one with antique overtones will be well fitting with the vanity bases that have beautifully ornate carvings along the bottom and side edges. Any one of the pieces will make a stunning impact upon the look of the bathroom as well as bringing great functionality. Each of the individual types of styling are complemented perfectly with the choice of hardware for the drawer pulls and cabinet knobs. The pieces with an antique touch are suited well with the antique brass finish of the hardware. More modern and contemporary designs are matched with the sleek muted shine of brushed nickel, a finish that is ever popular and often matches other plumbing fixtures in the bathroom. Anyone who has ever undertaken even the smallest of remodel or replacement jobs knows that having accurate measurements is vital to an easy and successful completion. To begin with the replacement of a bathroom vanity, the best place to start is to measure the existing unit. This way the home owner knows just the precise length, width and height that has worked best within the room. If changing to a large unit, be sure the new one fits the wall space and does not cover any electrical outlets or vents. Checking that the area where the drawers and doors open into is also free and clear will keep a good flow in the room. Each of the item listings has detailed dimension information included on the individual page making it very easy to determine if the piece will fit well within the space it is intended for. Measure twice; cut once is an old adage that also applies here. Getting the wrong size on delivery day will set back the remodel process. All of the base units made by L&K have a large precut hole in the rear of the piece. This allows for easy accommodation of the water lines and drain pipes for the set up. It is great to have this part already done to get right to the installation. This, along with setting the counter top and connecting the faucet can be done by an experienced homeowner with the right tools, or it can be completed by hiring a local handyperson or professional plumber. As with any other investment in home remodeling or decoration, taking good care of this furniture in the bathroom will enable it to look great for many years to come. The real wood components can be taken care of with furniture polish or lemon oil to keep that beautiful shine. The parts made with MDF will stand up well to the warmth and moisture changes within the bathroom environment. The optional counter tops and sink bowls are created with natural materials that will hold up well for use in a bathroom sink and can be easily cared for with common household cleaners or with specialty products designed for granite or marble to help protect them from damage from personal use products. The folks at L&K manufacturers not only make wonderful vanity bases, they also have available the countertops that will fit perfectly and best complement the style and finish tones of the piece. Along with this, some models have matching mirrors that have the same design style and details of the vanity itself. This adds to the décor as well as brings more functionality to the space for personal viewing, which is always welcome in the bathroom. A few models even have matching linen cabinets that will add a major storage component to the space, even above what comes within the vanity base. Aside from the decorative style it adds, it will increase organizational capacity in the home. These options are easy to pick from within the drop down menu on each individual items page. Unique Online Furniture is always pleased to bring their customers access to the best designers available. Only those who use the best material and timeless designs are presented to the clients of the site. The customer service representatives at Unique Online Furniture are always on hand to help with any questions a homeowner may have about the items available. They offer easy online access at any time and are also happy to answer questions over the telephone. Working with Unique Online Furniture will put each client in touch with the best items available to make their homes the best place to be, both in looks and in function.